Some homeowners worry about replacing their windows during winter months. We wanted to take a moment to reassure Atlanta Homeowners that replacement windows during the winter months are easy and quick. Winter is our busy season, we find that most homeowners enjoy the immediate satisfaction they receive with new energy-efficient windows. Why going ahead with a window replacement project in Atlanta during winter months can be beneficial. 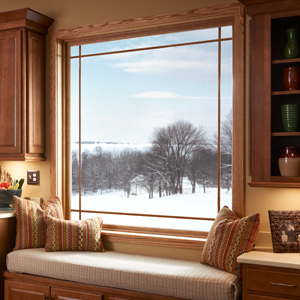 Tip #1: Replacement Windows are fast and effective during winter months. Replacement windows can be installed effectively in colder weather. Assure them that you are used to performing window replacement projects during all seasons and types of weather. The approximate time a rough opening is exposed to “the elements” during a standard double-hung replacement window job is around 15-20 minutes. Tip #2: One Room at a Time helps minimize cold air moving throughout the entire home you will close off the rooms as the replacement work is being done. Often, this is as simple as closing the door to that room. For example, a bedroom window replacement only allows the cold air into that one room for a short period of time. Tip #3 – Use Properly Certified Materials. We are comfortably prepared for cold weather window installations. We use caulks and weatherization products specifically engineered for secure adhesion and sealing when applied in colder temperatures. Simonton Windows has been ranked “Highest in Customer Satisfaction with Windows and Doors, Four Years in a Row. Tied in 2013.” by J.D. Power and Associates. Simonton produces ENERGY STAR® qualified vinyl replacement and new construction windows and doors, including a line of impact-resistant products.